A 68-year-old man was taken to hospital with serious head injuries following a crash on the Broadway in Lancing. 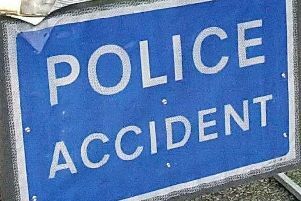 Emergency services were called to the scene of the crash at 10.30am this morning (October 24) following reports of a collision involving a car and a bicycle. Police have confirmed the cyclist, a 68-year-old local man, was treated at the scene before being taken by ambulance to the Royal Sussex County Hospital. The Broadway near the A259 Brighton Road in Lancing was closed both ways following the accident, but reopened this evening. Any witnesses to the incident are asked to phone Sussex Police on 101 or email collision.appeal@sussex.pnn.police.uk quoting ref 484.